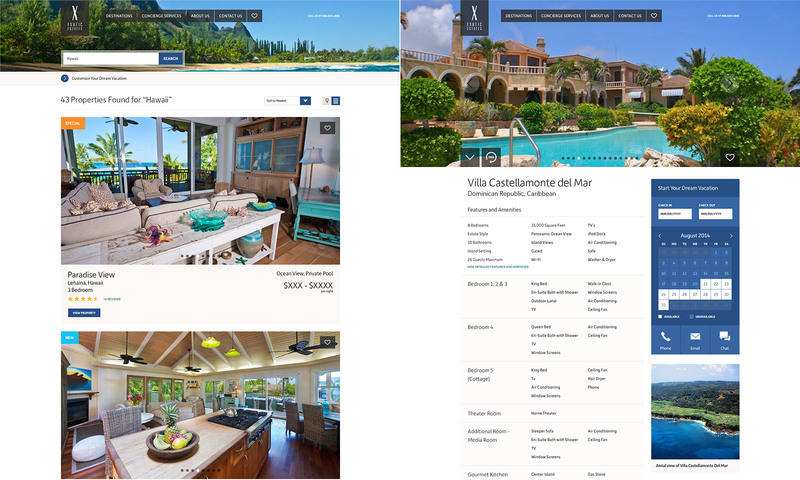 Exotic Estates is a high-end luxury vacation rental service connecting property owners with guests looking for exquisite locations and unparalleled service. 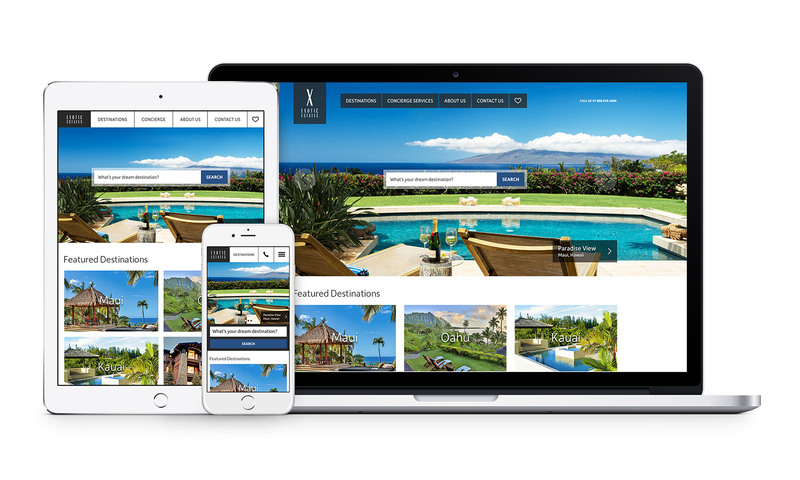 Their brand needed to reflect their mission to provide exceptional one-of-a-kind experiences, as well as a website that is intuitive and easy to use for vacation planners. 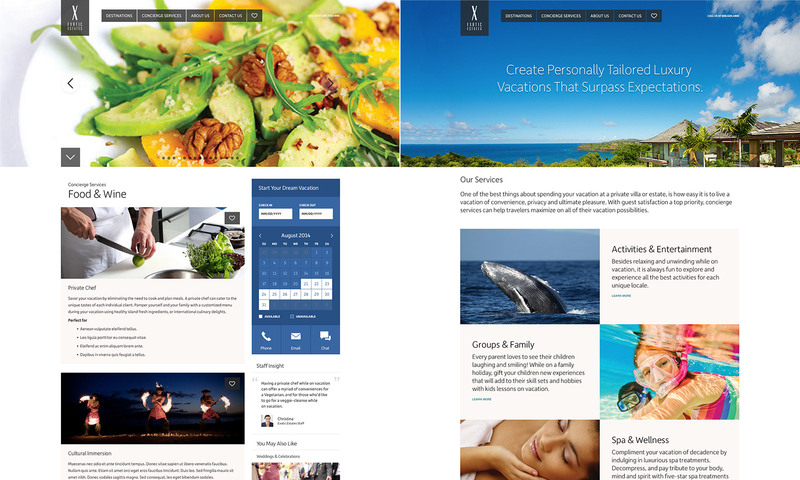 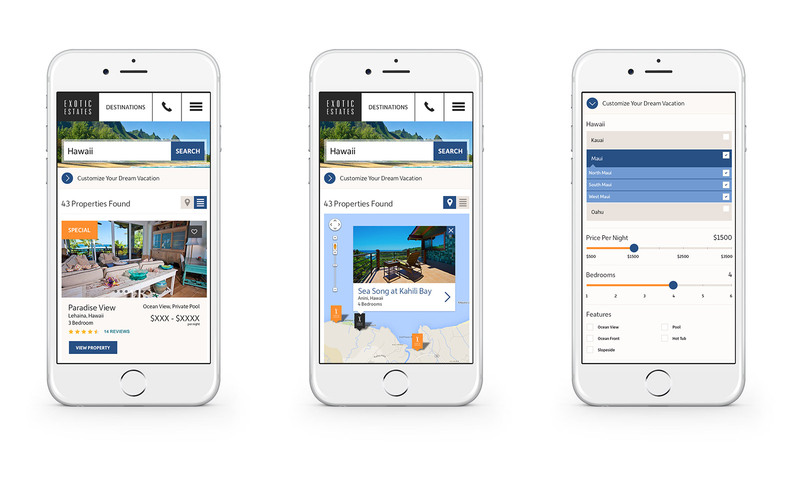 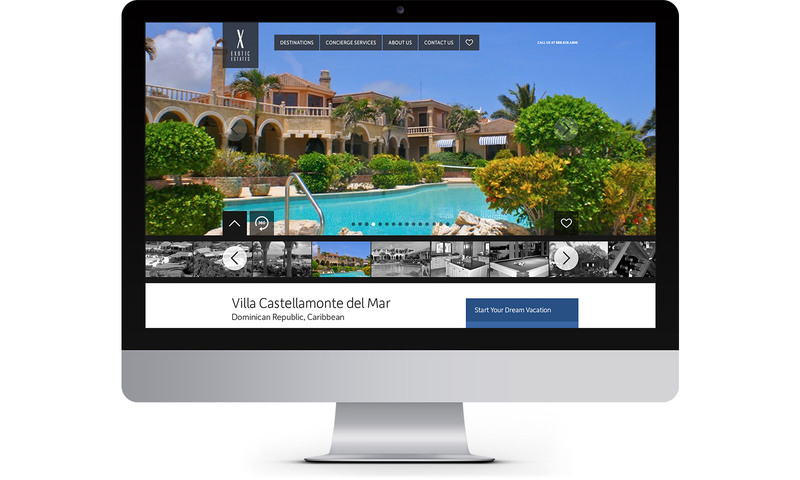 To provide visitors an experience that was consistent with Exotic Estates' mission, the website was redesigned to showcase beautiful vacation photography that was layered upon an intuitive navigation framework.